Laura Rice graduated from Central State University with a degree in visual arts and formation design in 1998. 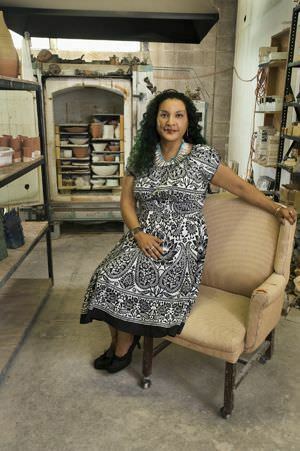 Her sculpture professor, Randal Wallace, hired her for an afterschool art program at Oklahoma Contemporary Arts Center in 1999. She has shown her work locally for Canvas Vans & Deck shows and continues to support and promote the local art community. She has chaired for Momentum and DeadCenter Film Festival and continues to volunteer for the arts in Oklahoma City.